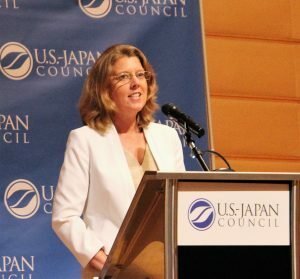 From March 2010-September 2012, Suzanne served as Senior Adviser to Ambassador Roos in U.S. Embassy Tokyo. In that capacity, she supported the Ambassador on the full portfolio of security, economic, political and cultural issues in the U.S.-Japan relationship. 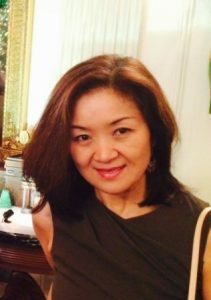 She has been involved in the creation and development of the TOMODACHI Initiative, a public-private partnership established between the U.S. Embassy and the U.S.-Japan Council. Previous to her Embassy assignment, she was Director for Japan in the Office of the Secretary of Defense. She served 13 years as an officer in the United States Navy. Her assignments included service on the staff of Commander, Seventh Fleet on board the USS BLUE RIDGE based in Yokosuka, Japan. In 2008, she received the inaugural Ryozo Kato Award for service to the U.S.-Japan Alliance.